^ Ashrafian, Hutan. 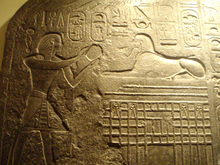 Familial epilepsy in the pharaohs of ancient Egypt's eighteenth dynasty. Epilepsy & Behavior. 2012, 25. doi:10.1007/s12020-011-9581-z.